Nearly every piece of commercial restaurant equipment that cooks or stores food is going to have gaskets. When gaskets wear out or get filthy over time, this can seriously affect the functioning of the unit. If the gasket on a commercial freezer wears out or is so dirty it allows heat in, you can lose hundreds of dollars worth of product. To prevent this, here are some easy to remember tips to keep gaskets running smoothly. Clean the gaskets daily using warm, soapy water to prevent crusted food from preventing a good, tight seal. Not only is a good seal required for proper operation, but a bad seal could affect the electronics board or the control panel on equipment that has such a thing. 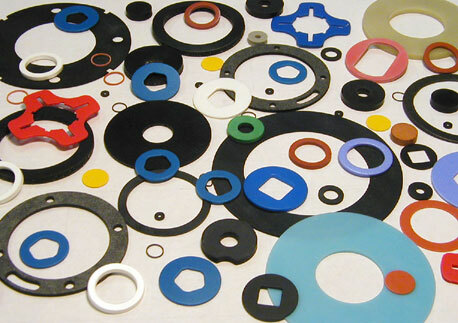 When gaskets start to wear, replace them as soon as possible. In most cases, you can easily do it yourself. While you’re in their, check the hinges – make sure they’re tight and clean. If you’re in the market for any kind of used or new commercial restaurant equipment, come into One Fat Frog Restaurant Equipment. One Fat Frog Restaurant Equipment can help you open the restaurant of your dreams! One Fat Frog Restaurant Equipment can get you financed for all of the used commercial restaurant equipment you need – no matter how bad your credit is in! Come into One Fat Frog Restaurant Equipment today and let’s get the ball rolling towards the restaurant of your dreams!